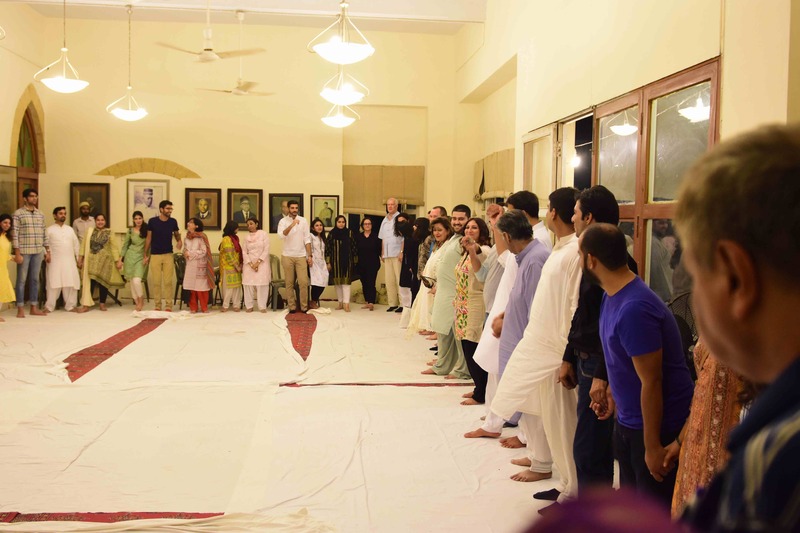 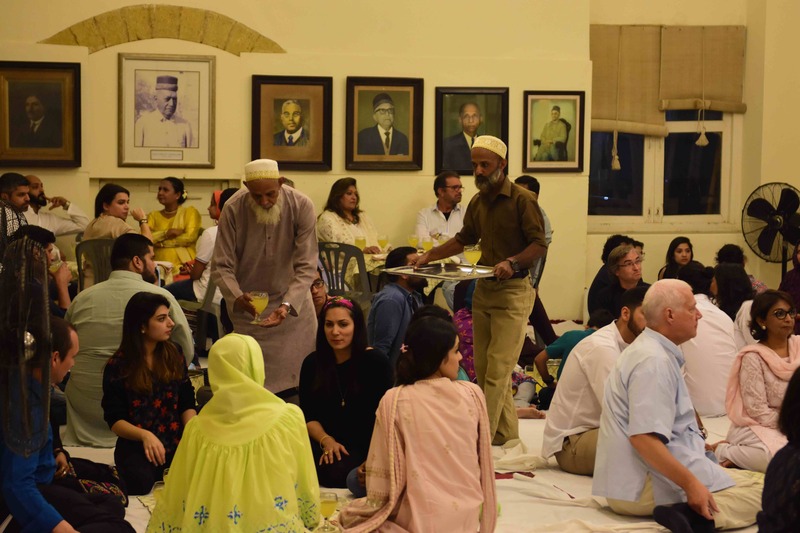 A Participatory Performance curated by Honi Ryan | A Project by Vasl Artists’ Association and Goethe-Institut Pakistan, Part of the Karachi Biennale 2017 (KB17). 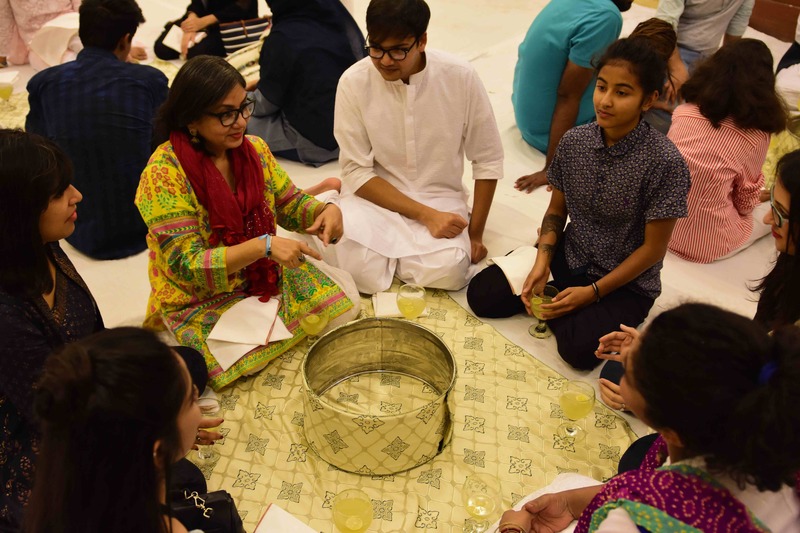 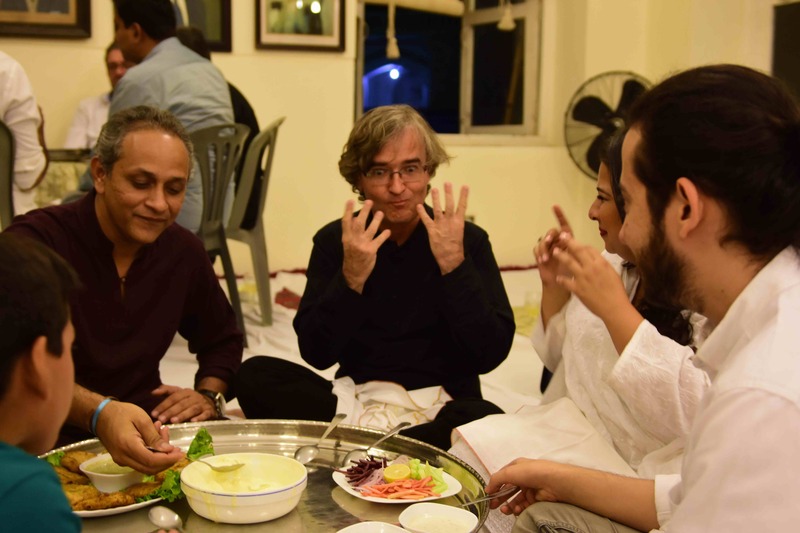 As an addition to the Karachi Biennale, performance artist Honi Ryan designed a ‘Silent Dinner’ inspired by the Bohra tradition of eating from a thaal. 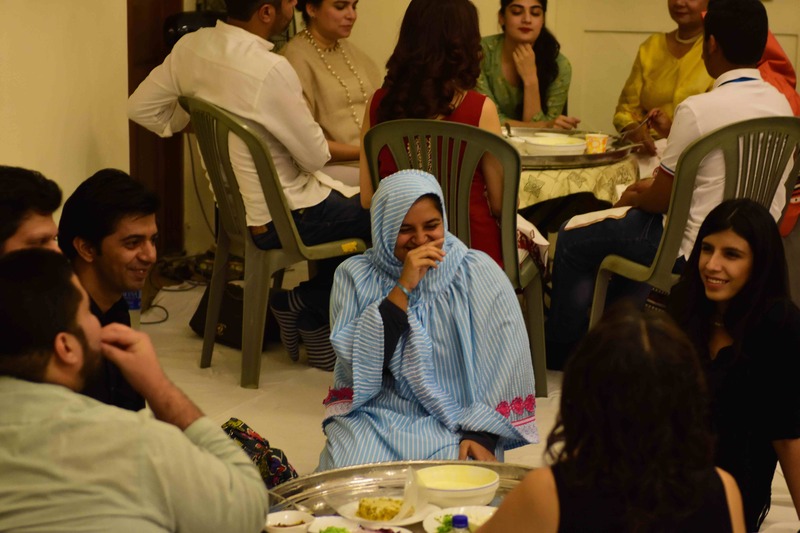 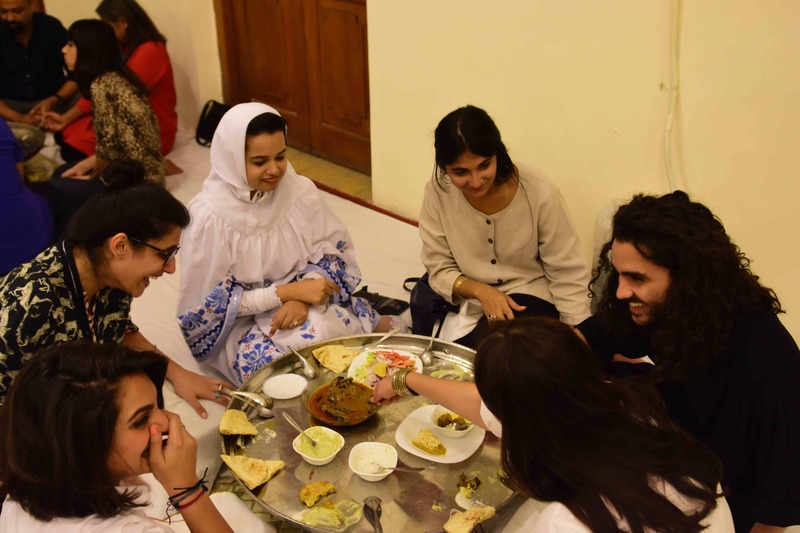 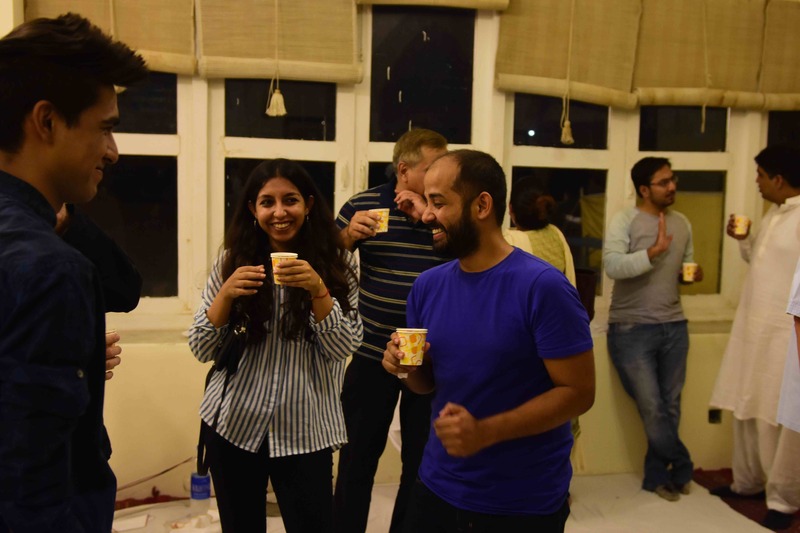 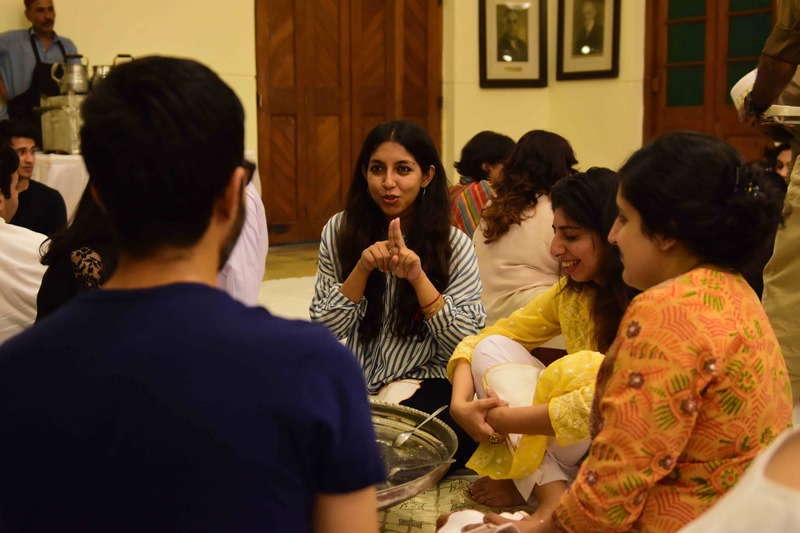 Having curated about 50 Silent Dinners across the world, Honi wanted to utilize aspects of a community and a way of sharing food that can be found in Karachi. 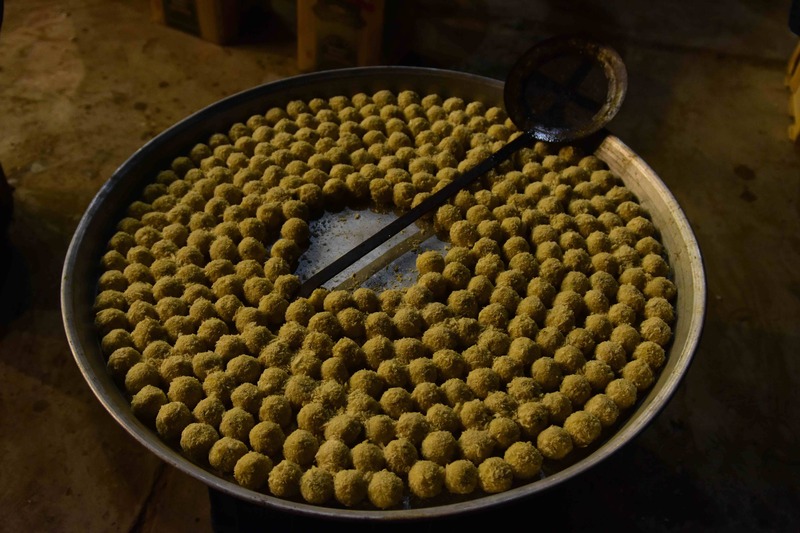 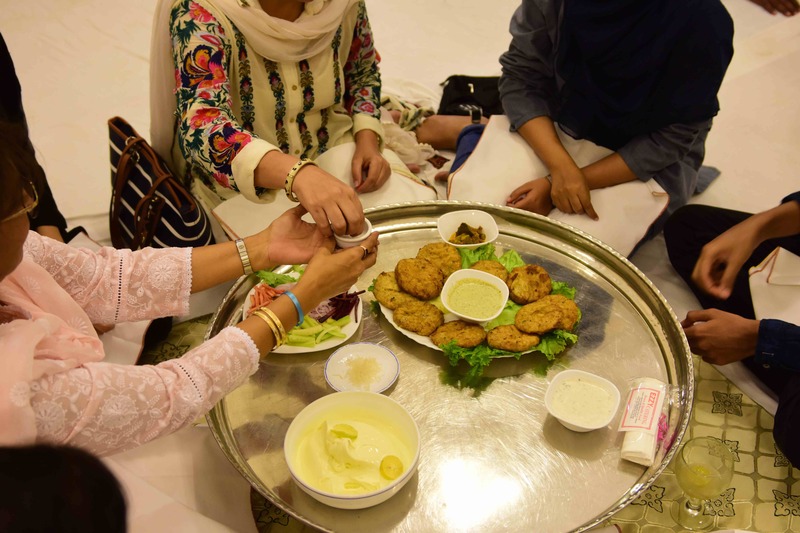 Intrigued by the complex yet systematic way of eating from a thaal by the Bohras, a minority religious community in South Asia, Honi researched upon the cuisine and attributes of eating exclusive to the Bohras. 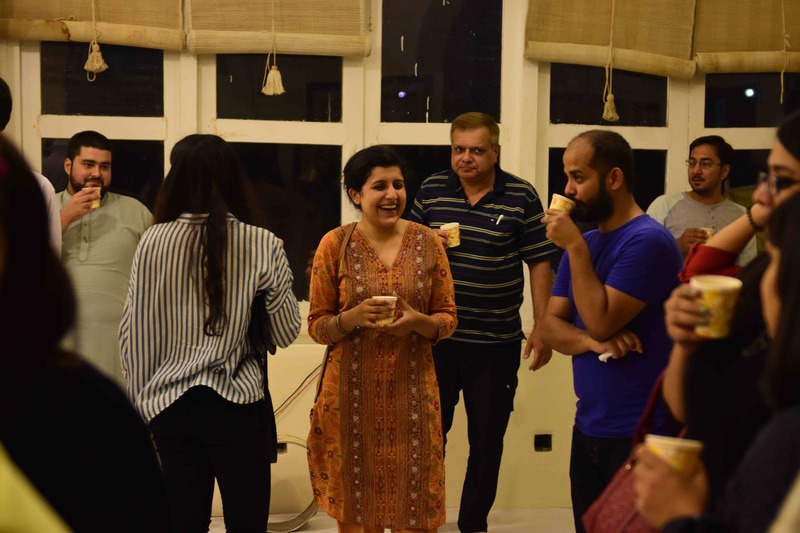 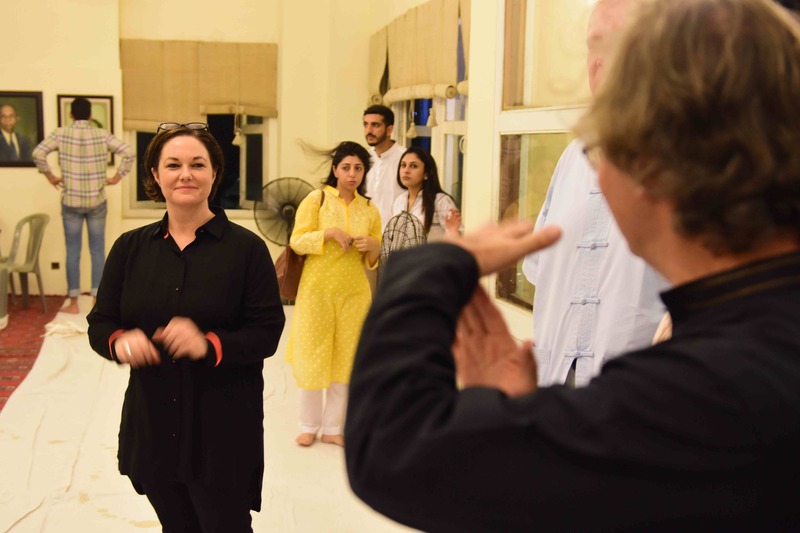 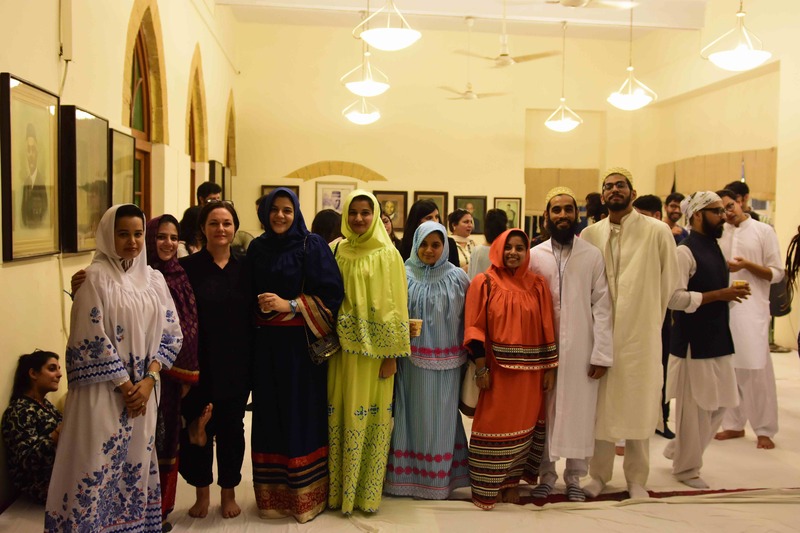 Throughout her research on Bohra food, etiquette and their history in Karachi, Honi was graciously assisted by ceramic artist Nabahat Lotia and graphic designer and teacher, Naheed Yayha both members of the Bohra community in Karachi. 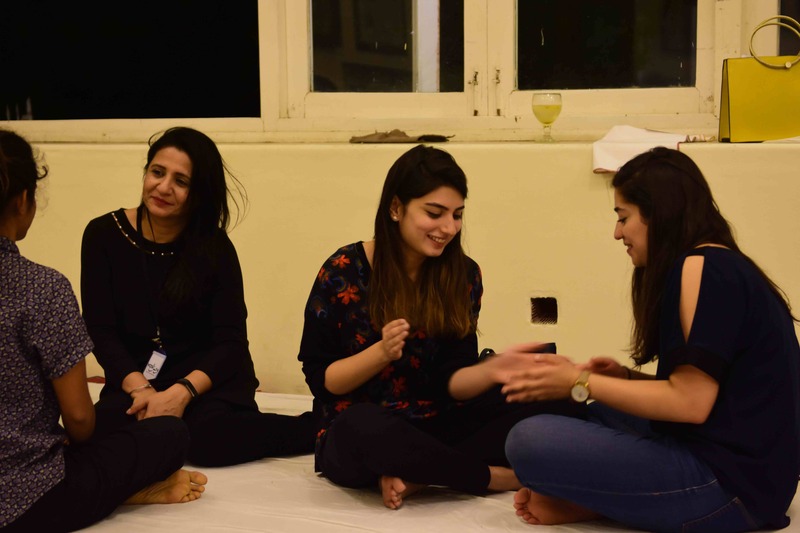 The Silent Dinner included over 90 participants from all walks of life, bringing together people from multiple careers and a wide age bracket through the shared love of food. 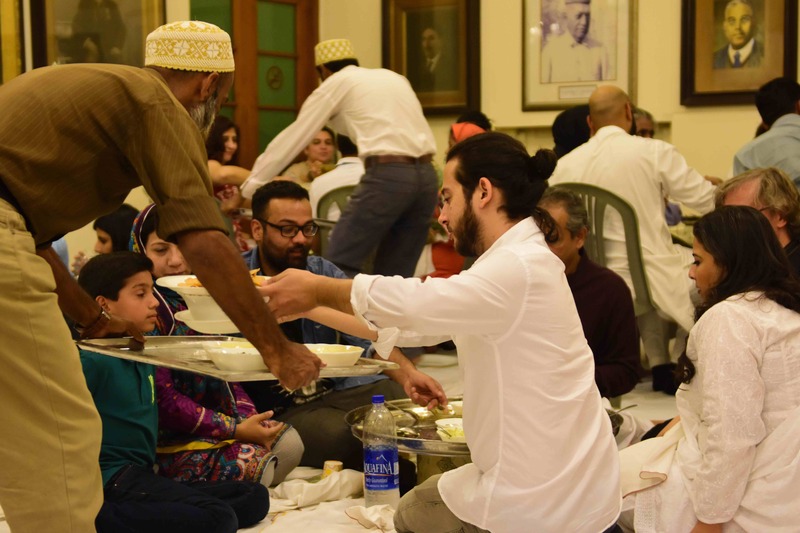 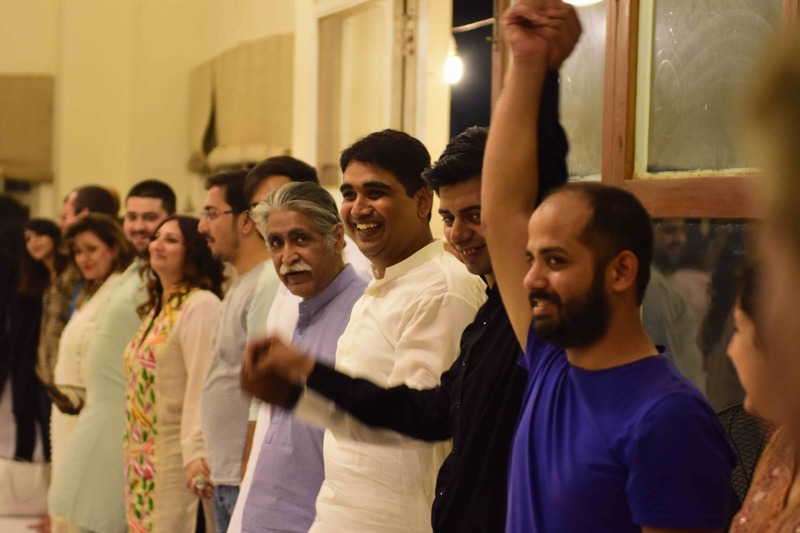 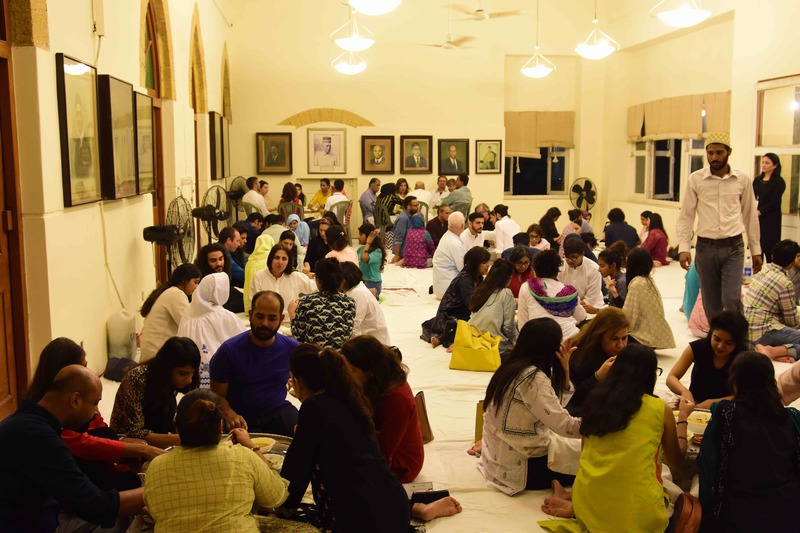 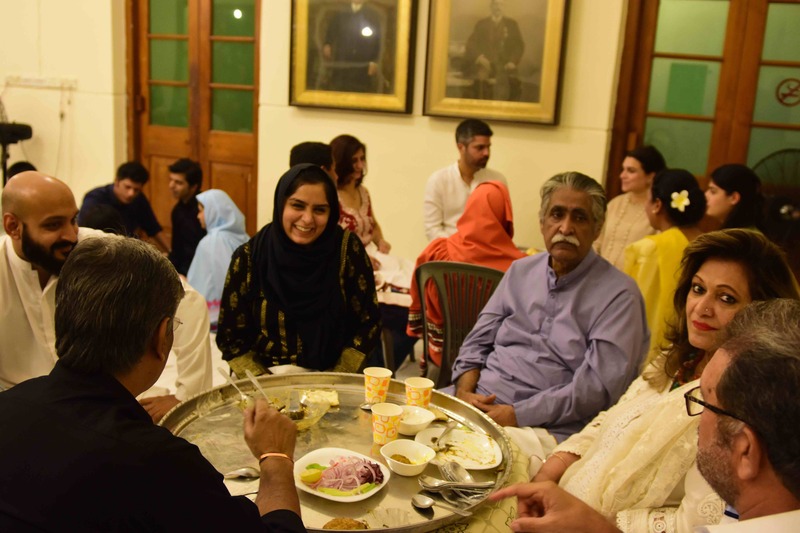 Throughout the dinner, all the participants were silent included the Bohra servers who would bring in each course for those sitting around the thaal. 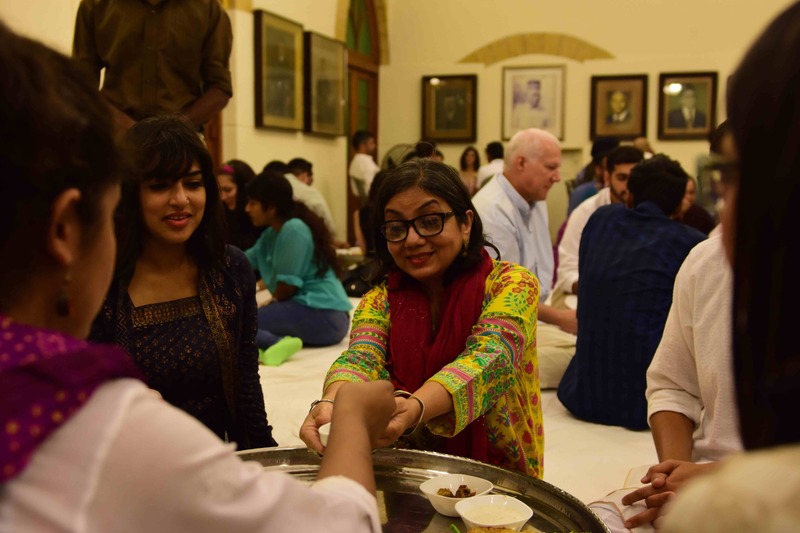 All courses were vegetarian keeping with the rules of the Silent Dinners as well as encouraging participants to enjoy meat-less food in multiple forms.